Hello! 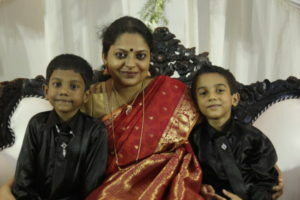 My name is Janani Barath and I live in Bangalore with my husband and 3 sons. Before marriage, I was diagnosed with polycystic ovaries and it was predicted that I would have problems conceiving. However, Garbarakshambigai Amman has blessed me with a good, supportive husband and three wonderful children. I feel a deep connection with the Goddess. I would like to share Her power and bounty with every woman across the world. I want to offer this service to help other women get access to the most powerful form of Shakti – Garbarakshambigai. I am excited to offer this service as I feel this will strengthen my bond with the Goddess, and my family and I will be blessed till the end of our lives. Kamakhya Temple – The Kamakhya temple is one of the main pithas (sacred place) among fifty one Saktipithas and the temple is dedicated to Mother Goddess Kamakhya, who is another form of Goddess Parvati. The name of the Goddess, Kamakhya, also indicates that she is at once the desired, the desiring and the granter of desires. 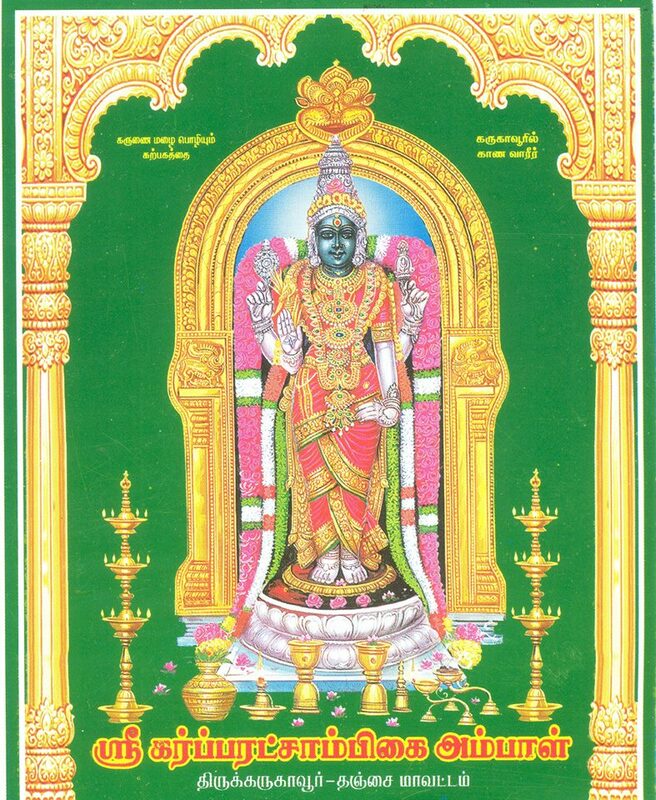 Madurai Meenakshi Temple – Who also considered a form of Goddess Lalitha Tripurasundari, one of the Dasa Maha Vidhyas. 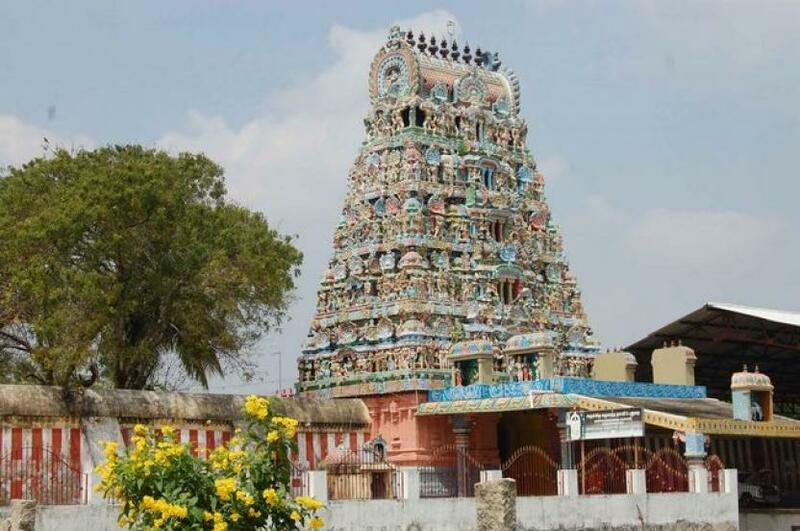 I have received innumerable benefits by visiting this Thirunallar temple regularly. My (ezharae-shani) sade-sati period was a golden period in my life when many positive things happened. 2 of my 3 children were born during this period, I set up my own export company (www.shivanicrafts.com), We bought our own house and I got a fantastic job with a very large and well-known company. I also had a magical experience when I visited Kamakhya Temple in April 2017. I was blown over by the special energy and power I could feel in the temple atmosphere. I enjoyed the darshan immensely and since then, Maa Kamakhya has stayed very alive in my consciousness and thoughts. I attribute my good luck and well being in life to Divine Blessings and I would like to do my bit by providing puja services. My prayer is that, by the grace of God, everyone who visits this website should be able to lead happy and prosperous lives. May God's blessings always remain with you.